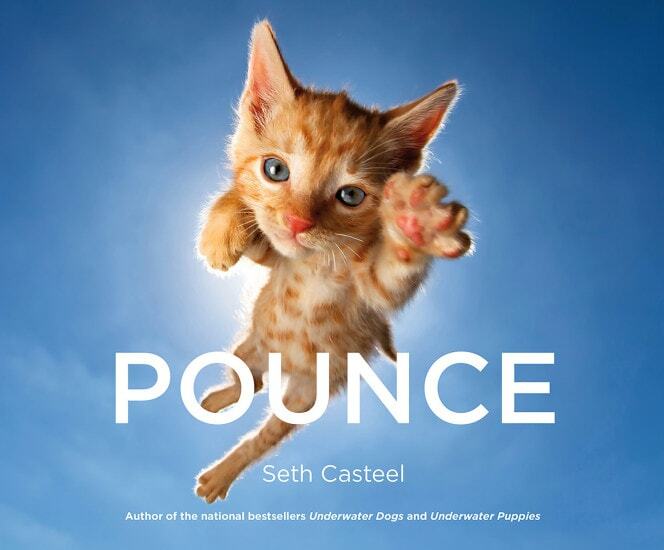 Be sure to head to your local bookstore – photographer Seth Casteel’s new book, “Pounce,” has just been released. 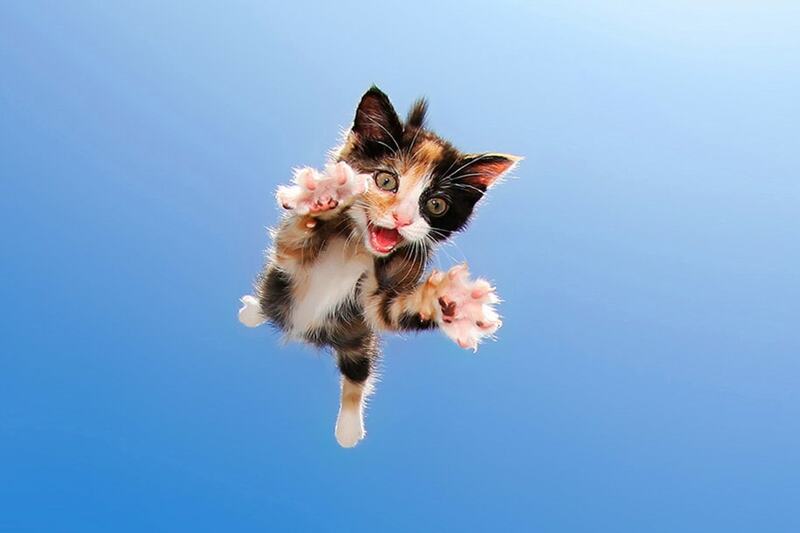 Be sure to head to your local bookstore – photographer Seth Casteel’s new book, “Pounce,” has just been released. 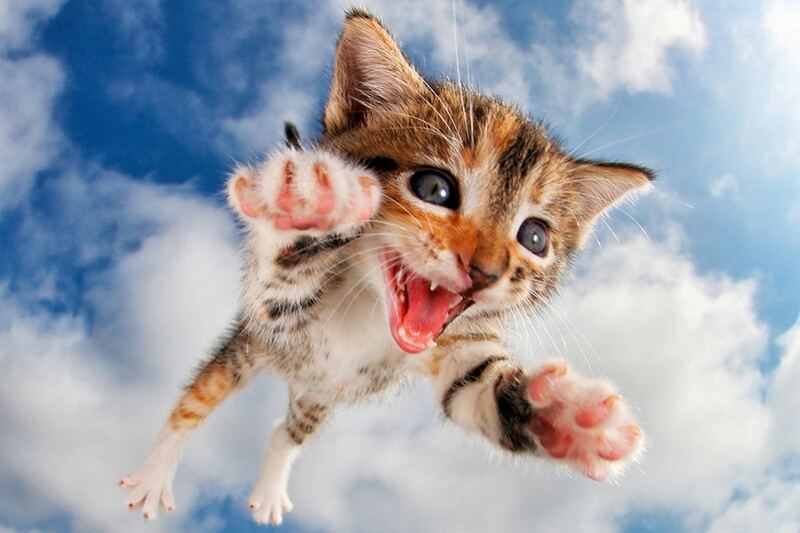 “Pounce” consists of photos of flying kittens, taken while the kittens were in mid-leap. Casteel is known for his book, “Underwater Dogs,” which includes breathtaking photos of dogs chasing tennis balls and other toys into pools. 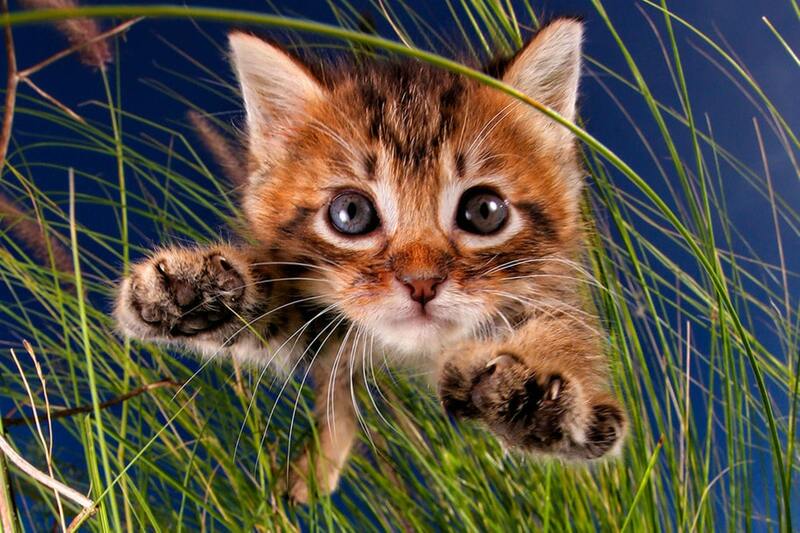 For “Pounce,” Casteel took a different approach. 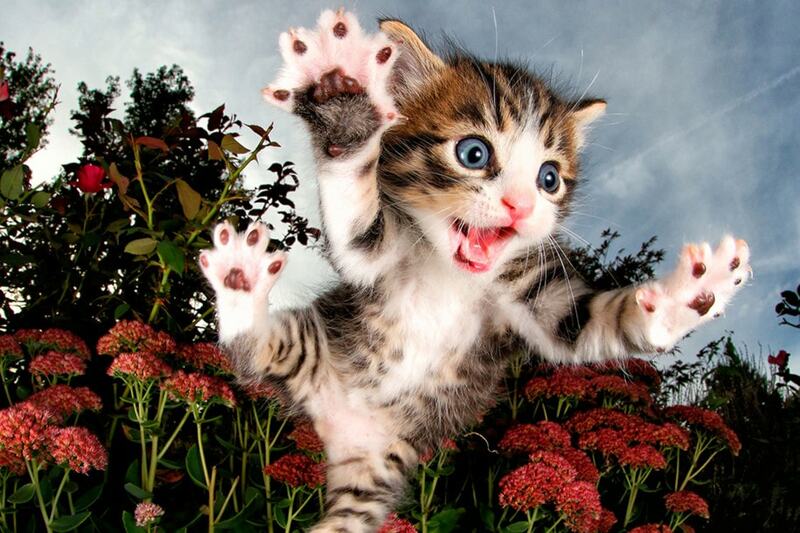 Casteel photographed over 1,000 adoptable cats in action, spending more than a year gathering photos for the book. Unlike dogs, which could be convinced to jump into a pool on command, Casteel had to exercise some serious patient in taking photos for “Pounce.” Cats very much work on their own schedules, and there’s no convincing them to play or leap when they don’t feel like it. 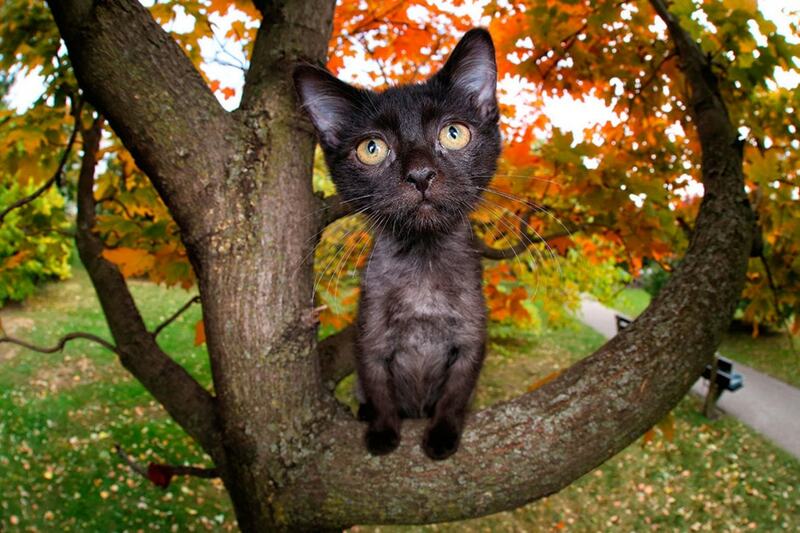 All of the cats in “Pounce” either were or still are adoptable. 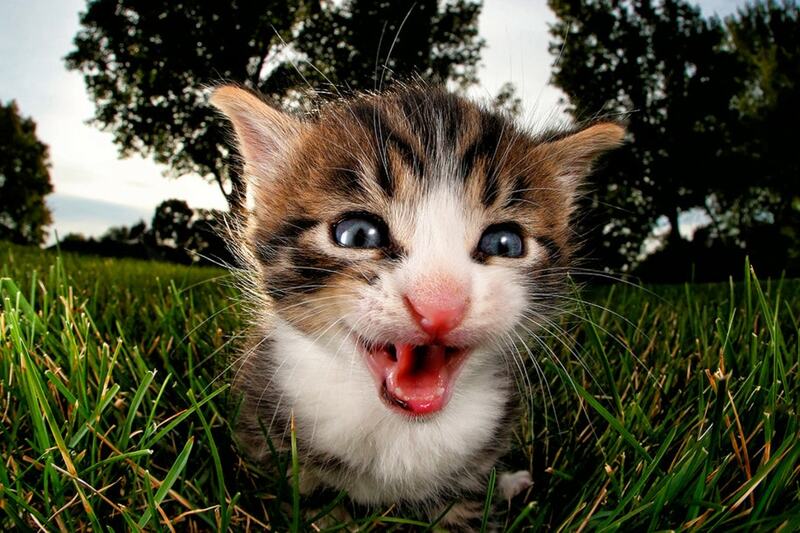 Hopefully the book will raise awareness about the great and adorable adoptable cats out there.